Its Nothin’ But A Good Time! 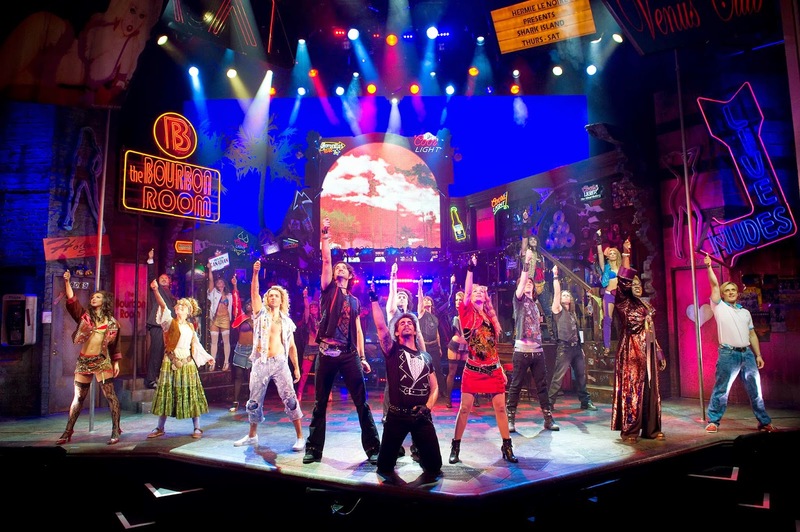 Rock Of Ages is an entertaining trip to when technology was as simple as a smoke machine and the music was loud. The North East has a proud tradition of loving rock music at its finest. 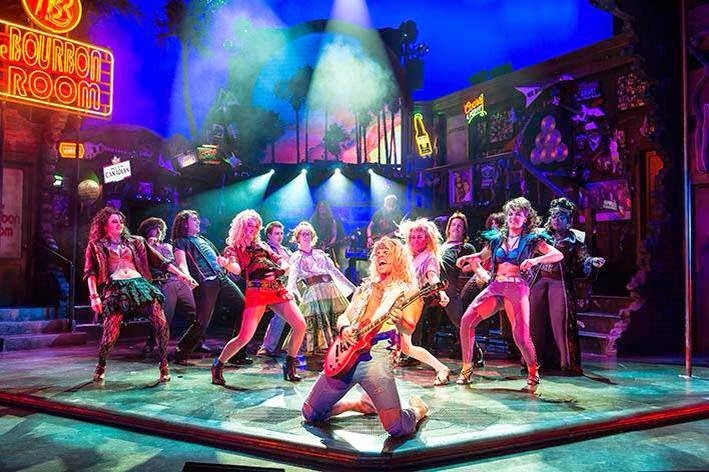 It had the world longest running rock club in the shape of The Mayfair until it closed in 1999, a venue full of hair, leather, denim and Spandex in 1987 which is when this production is based. 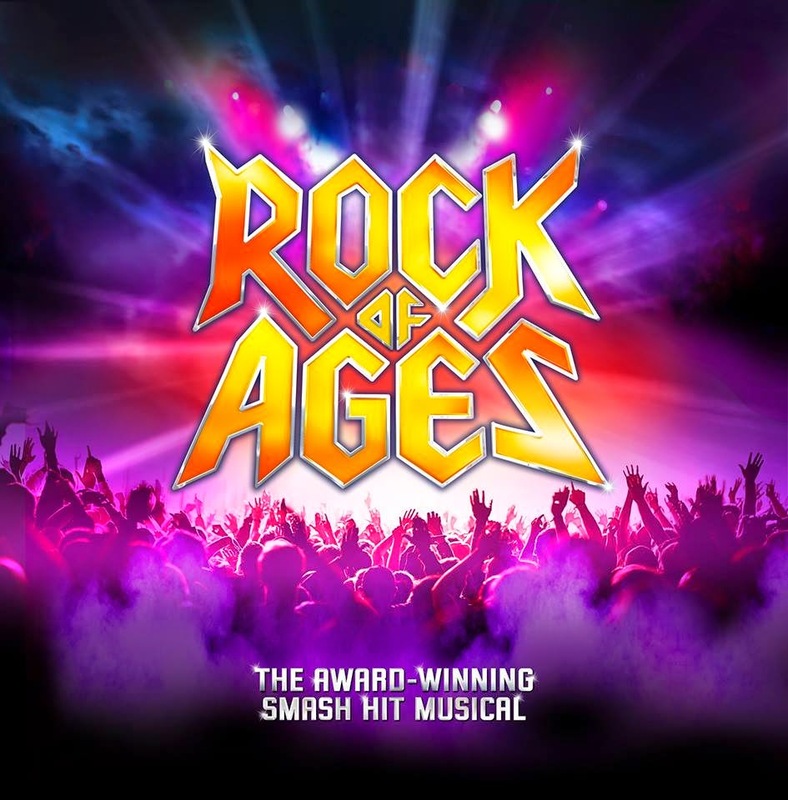 By using a rich back catalogue of memorable songs from this era performed by a live band that look and sound the part it distances itself from many other jukebox musicals. 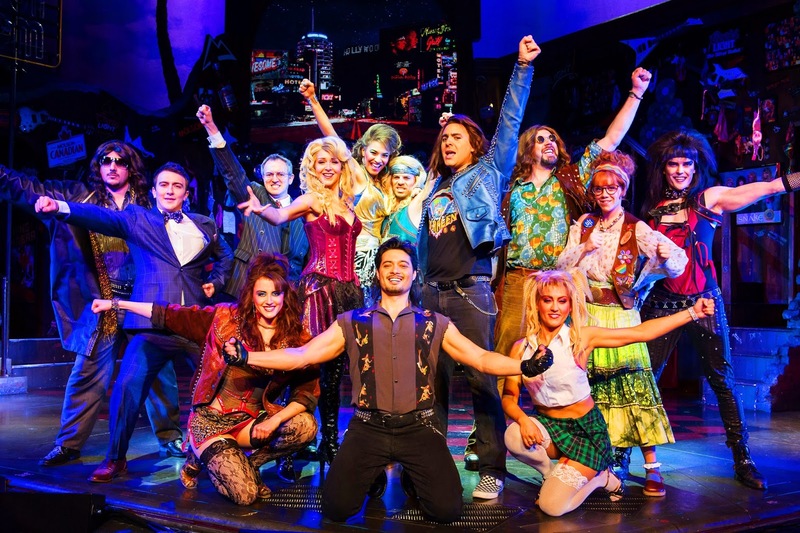 Each song is well sung and, unlike We Will Rock You on occasions, all of the songs are comfortably within the vocal range of each performer. The storyline has some stereotypical Germans wanting to demolish the Sunset Strip which is full of legendary bars frequented by lovers of loud rock. There is an attempt to save the Bourbon Room from the wrecking ball. Barman Drew (Noel Sullivan) persuades bar owner Dennis Dupree (Daniel Fletcher) to let wannabe actress Sherrie (Cordelia Farnworth) work at the bar. Naturally we need to chuck in a boy/girl love story in for good measure too and Drew’s attempt to woo Sherrie works well. 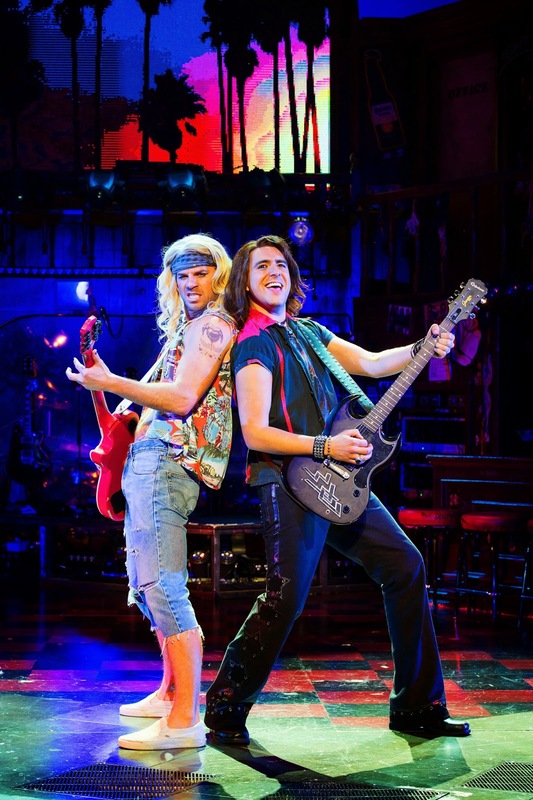 Many of the shows laughs and opportunities to interact with the audience comes through the narrating role of fellow barman Lonny and bar owner Dennis which develops into a full blown bromance by the end of the show. The way in which the show breaks through the fourth wall and doesn’t take itself too serious is reminiscent of rock movies like Wayne’s World. The German developers in the form of Hertz Klinemann (Jack Lord) and his son Franz (Cameron Sharp) appear on the scene to bribe the Mayor (Rakesh Boury) causing town planner Regina (Jessie May) to resign and start a protest. 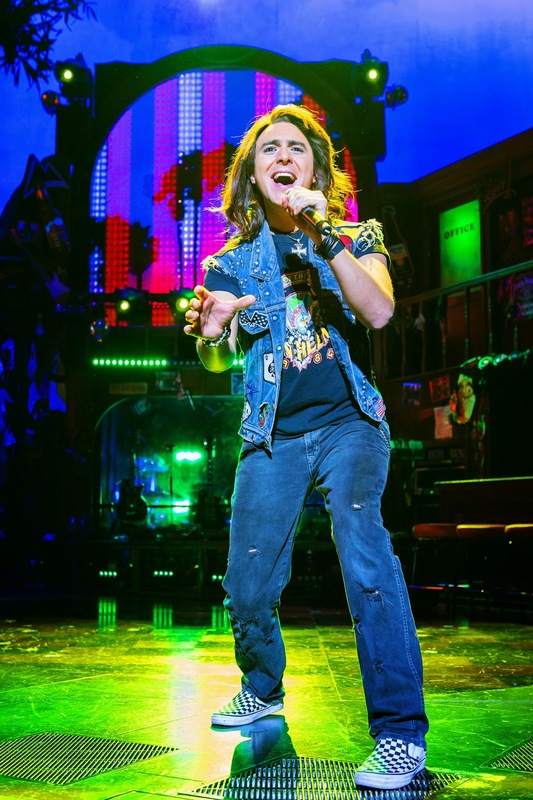 The decision is made to host the final gig of the band Arsenal after lead singer Stacee Jaxx (Ben Richards) announces he is about to quit and go solo. 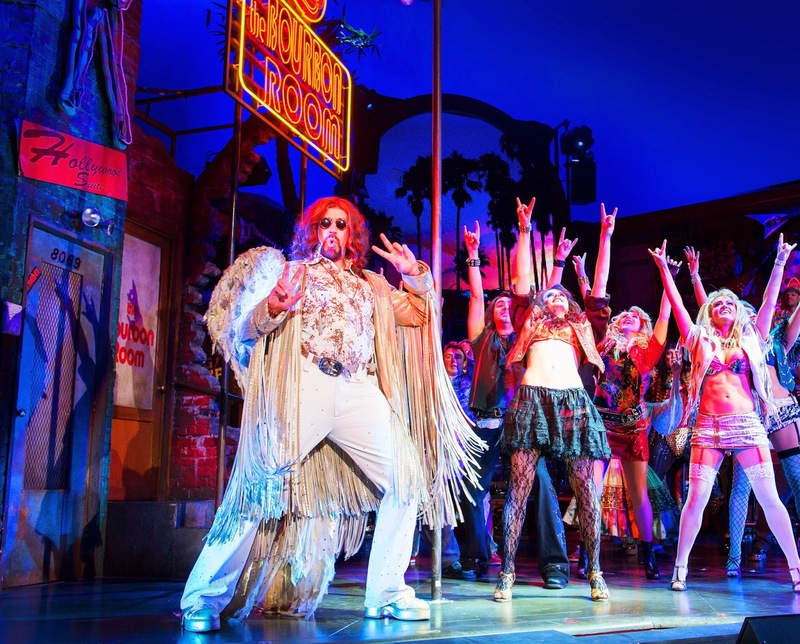 Whilst the development storyline comes as no surprise, the humour and quality of the musical performances, coupled with how the numbers segued nicely around each part of the book set this apart from a number of recent jukebox musicals to reach the region recently. Noel Sullivan is likeable and Cordelia Farworth plays the role of the young starlet well. The band are a constant throughout the show and faithfully reproduce the music to please fans of the hits. Songs by REO Speedwagon, Poison, Bon Jovi, Extreme and Whitesnake, amongst others, pepper the action but the finale is given over to Journey’s Don’t Stop Believing which had the audience out of their seats. This is a likeable story for those with fond memories of the rockier end of the late 80s music scene.